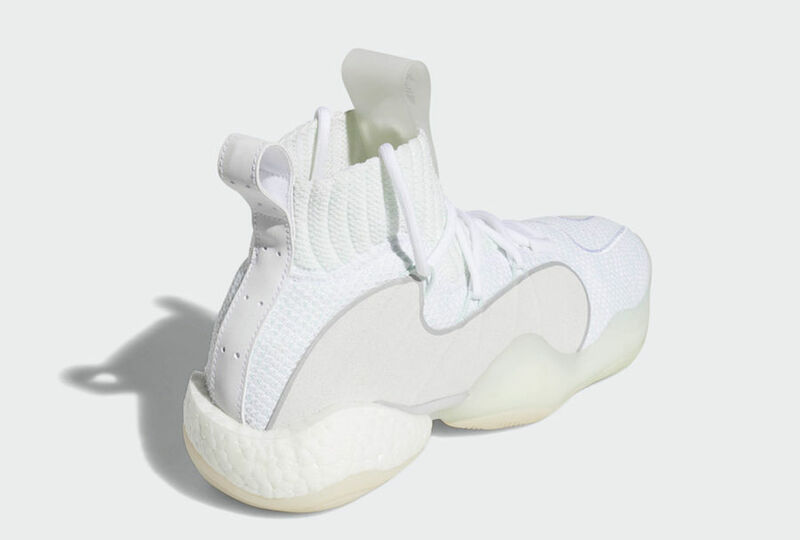 adidas BYW technology is currently all the rage amongst sneakerheads. With many still waiting for a chance to try it on foot, it appears the line is expanding as adidas finally releases more colors of the Crazy BYW X. 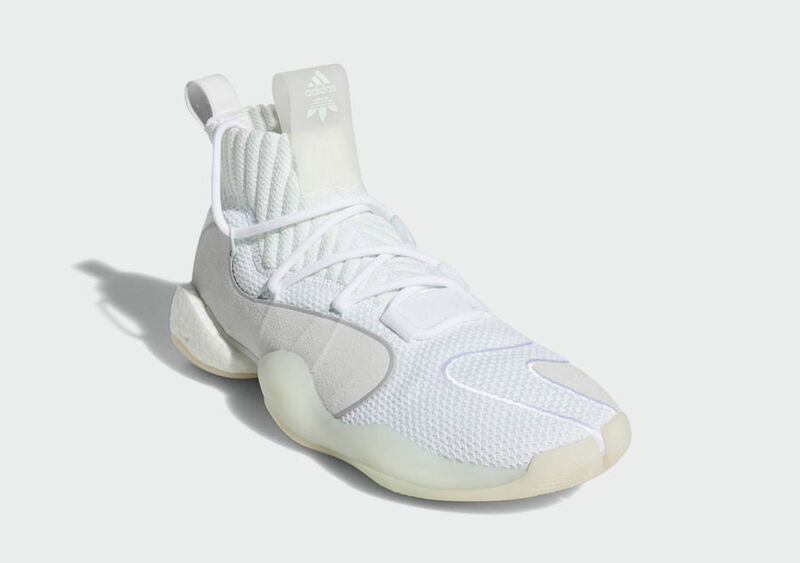 This new addition to the adidas CRAZY line is anything but standard for the brand with the Three Stripes. 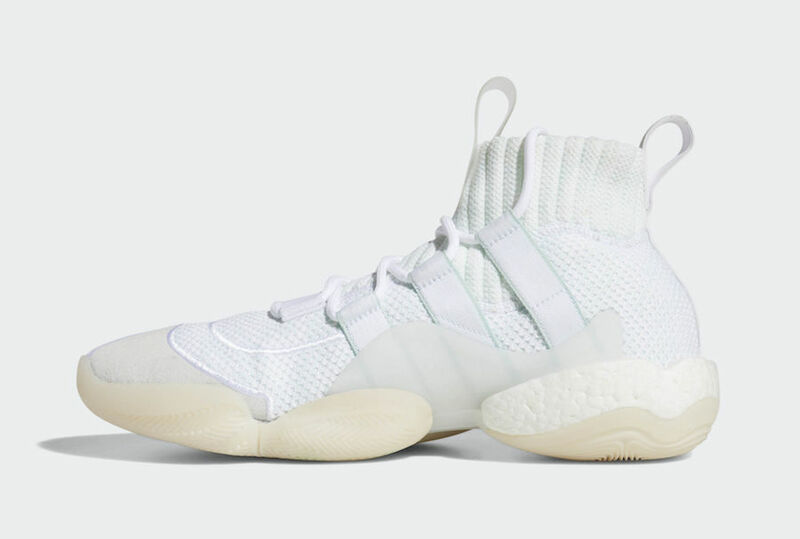 The adidas CRAZY BYW X is a hybrid shoe, designated for both strong on-court support and flexibility, as well as casual all-day comfort off-court. This makes the look of the shoe all the more appealing, as it works well aesthetically, too. The upper features a combination of knit, mesh, and a more sturdy suede for added padding and layering. 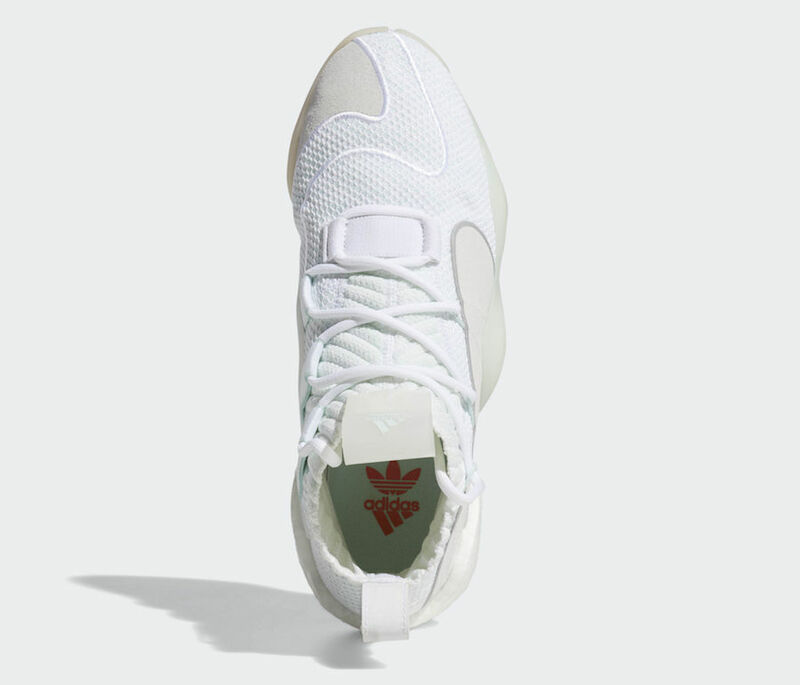 This month, adidas has added another colorway of the BYW X to their online store, without any prior warning. The new look covers most of the shoe in all white, from the knit to the suede to the Boost midsole. 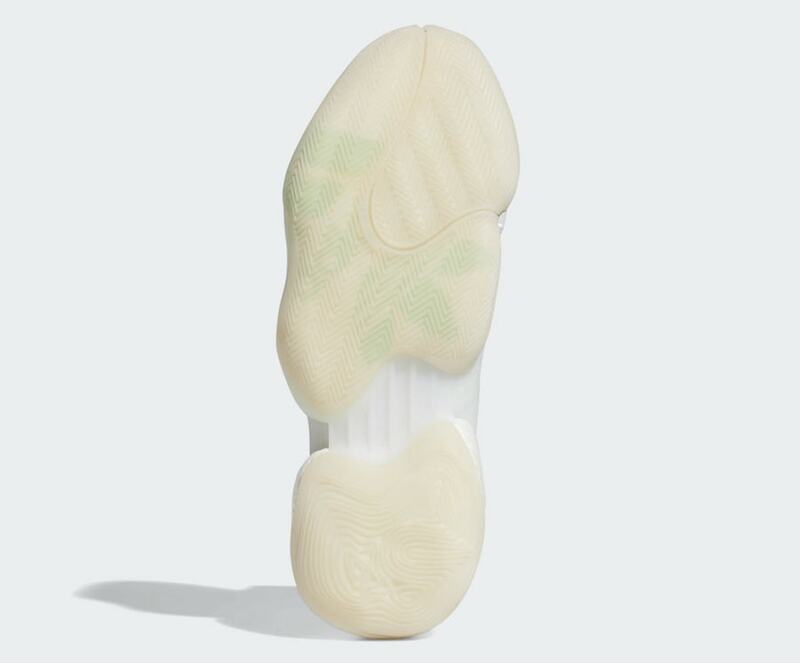 However, a slight green tint is added around the shoe, mainly to the knit sections as well as the translucent rubber outsole. 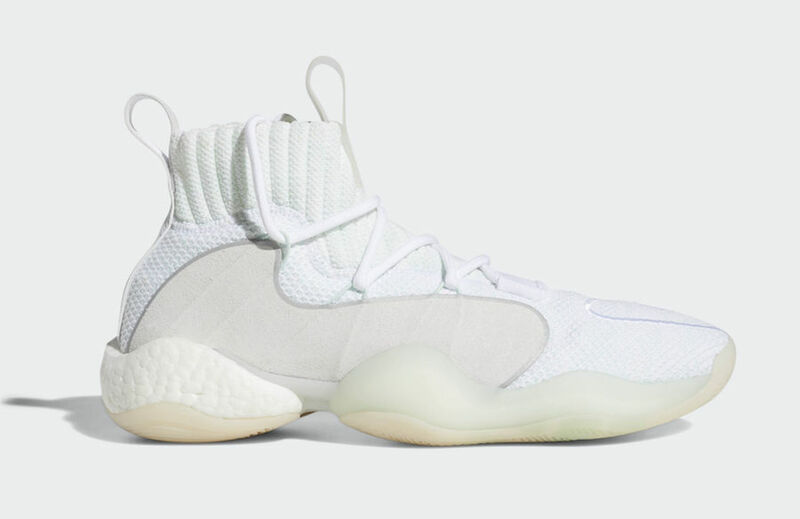 The adidas Crazy BYW X returned in a subtle new colorway over the weekend, available now for the silhouette’s usual $180 price point, with a wider release expected soon. 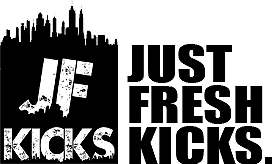 Check out the official images below for a better look at the striking silhouette, and stay tuned to JustFreshKicks for more adidas BYW news.